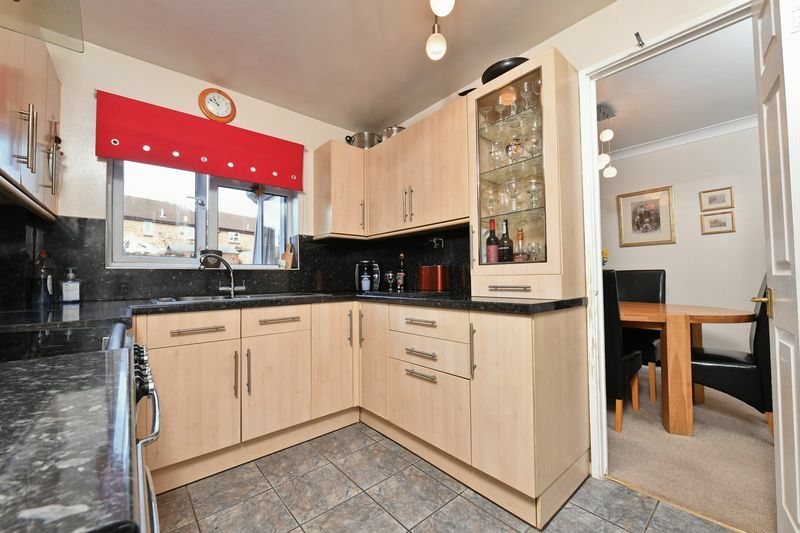 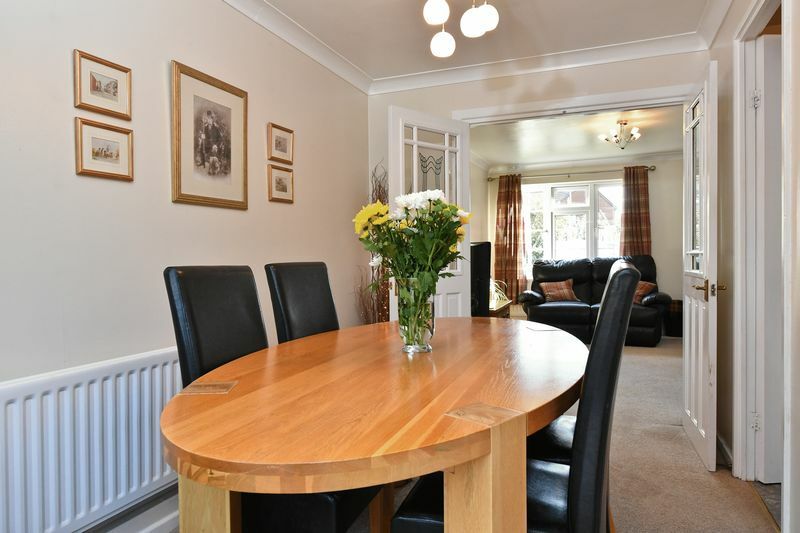 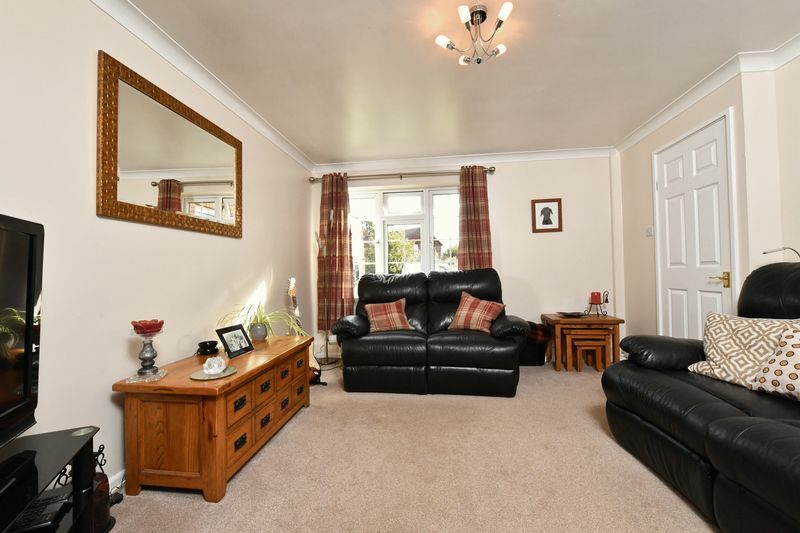 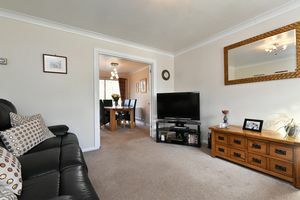 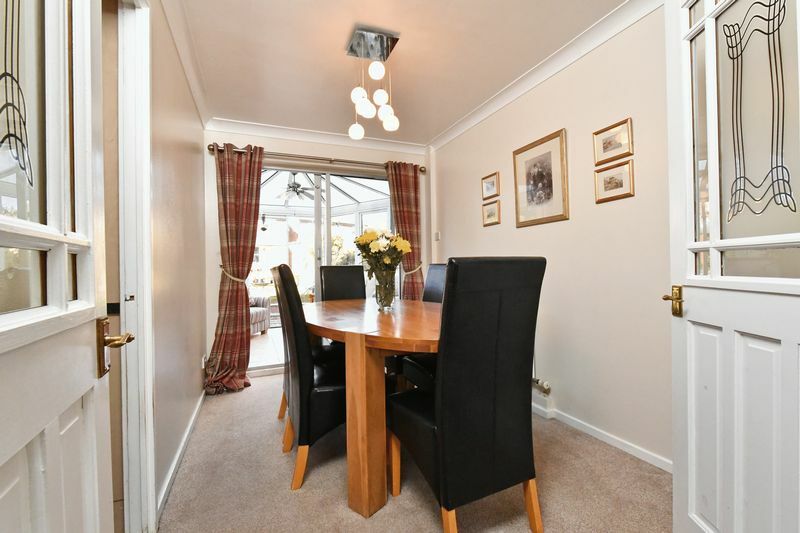 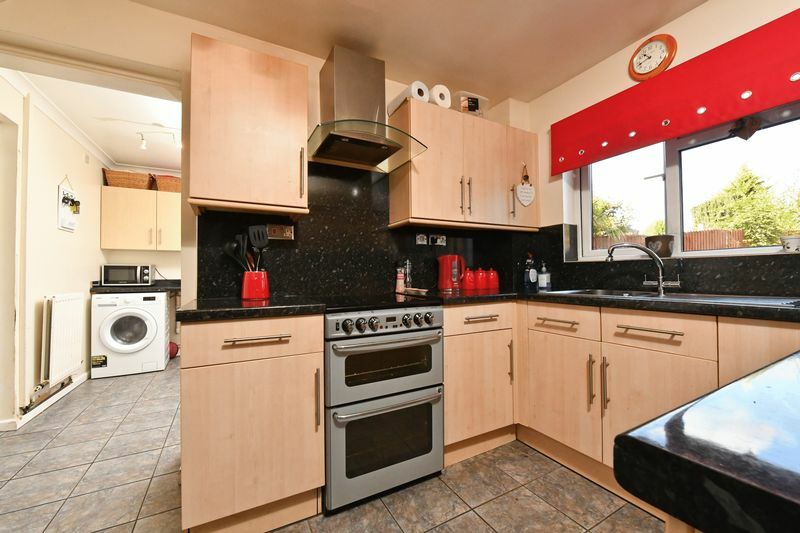 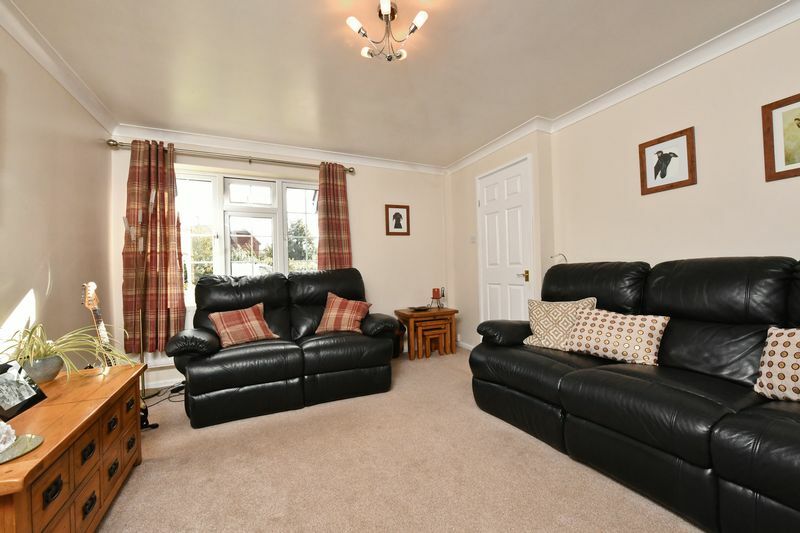 This generously proportioned, enhanced and improved FIVE BEDROOM HOME offers great sized rooms, ample off-street parking. 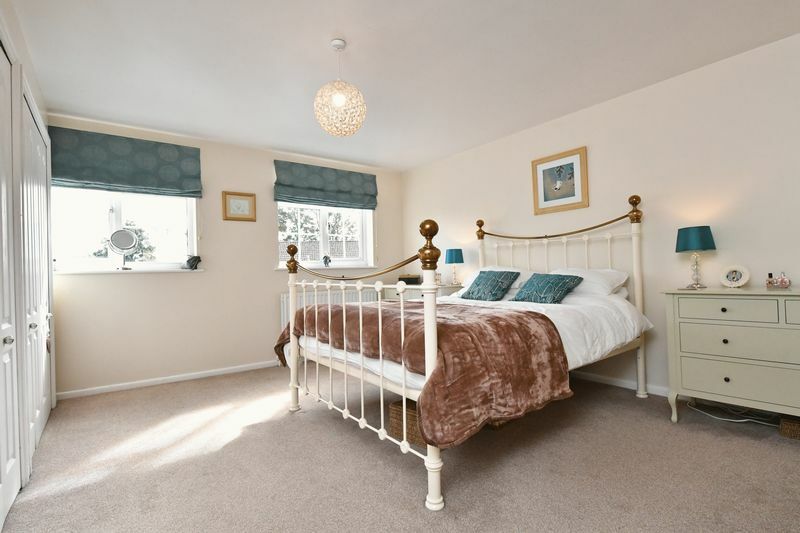 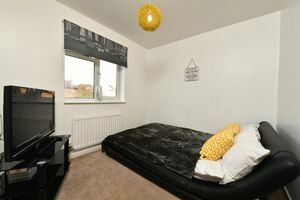 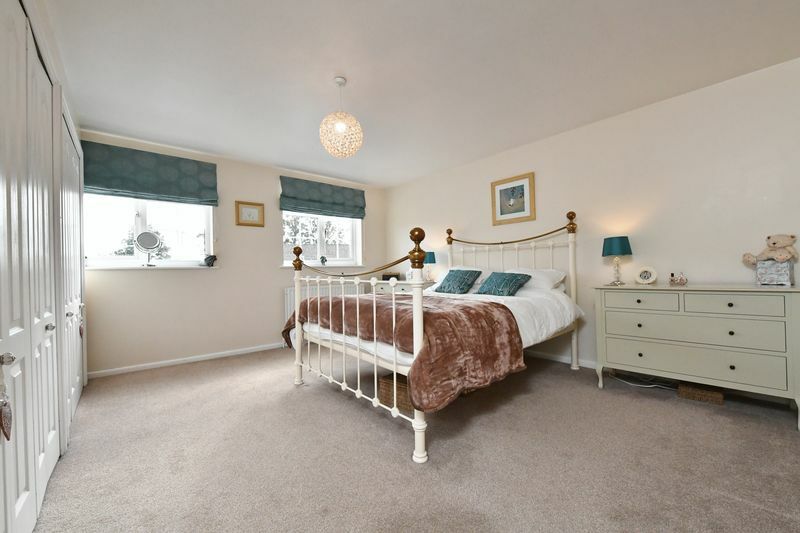 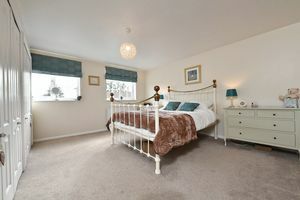 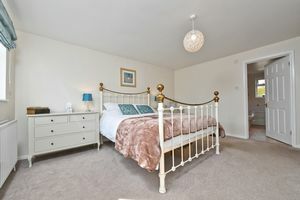 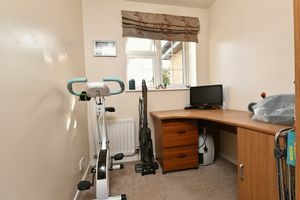 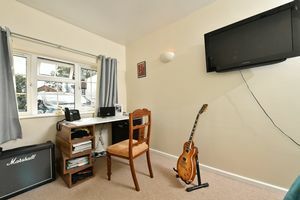 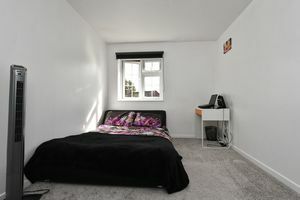 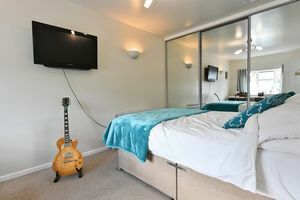 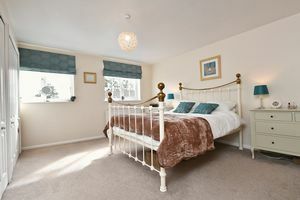 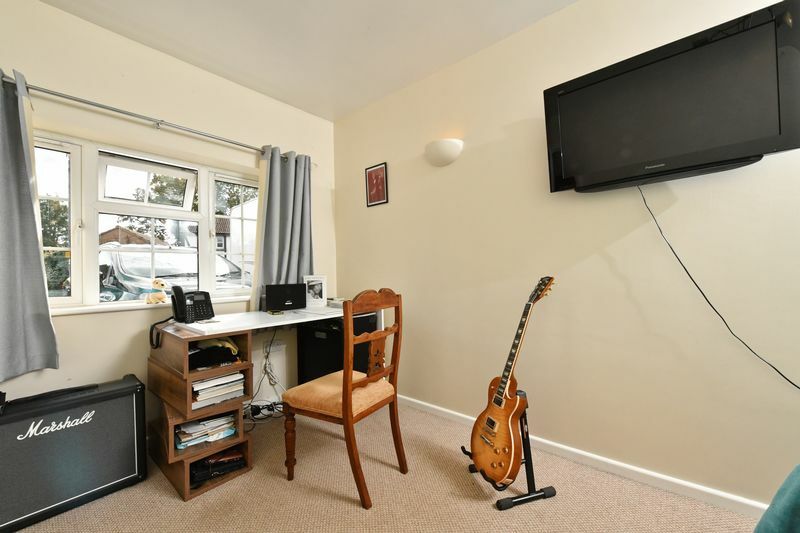 Benefiting from three reception rooms and versatile living accommodation to include a ground floor bedroom/study/playroom. 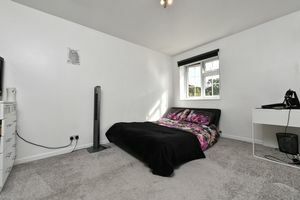 Skimmed ceiling, spot light, neutral walls, radiator, coir mat, laminate flooring. 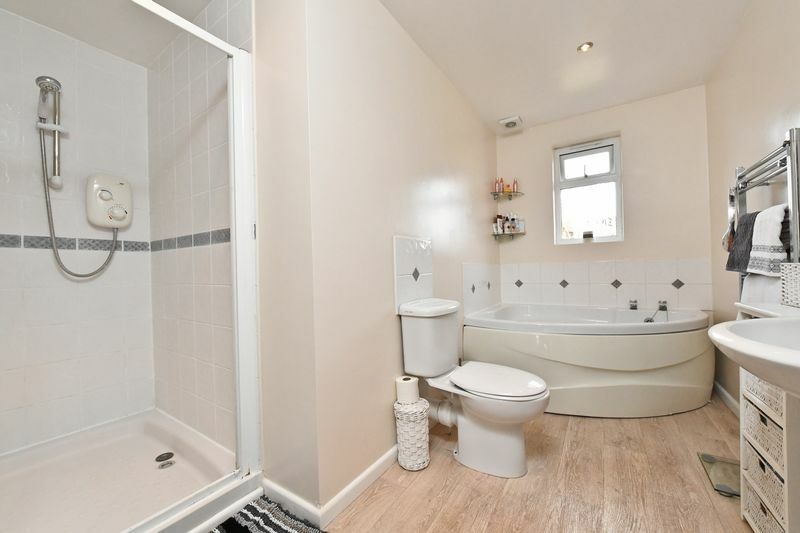 Six panel wooden door, plaster skim ceiling, bulkhead light fitting, white walls, UPVC obscured window, white wc, white corner sink with vanity unit, chrome ladder radiator, laminate flooring. Wooden door with 15 panes of glass, skimmed ceiling, three pendant light fittings, neutral walls, radiator, UPVC over looking front aspect, stairs leading to first floor. 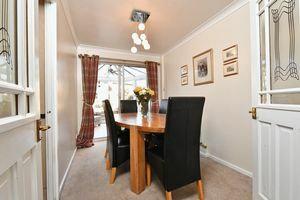 Six panel wooden door, skimmed ceiling, chrome five arm light fitting, neutral walls, radiator, UPVC window over looking front aspect, pair of doors leading to dining room, neutral fitted carpets. 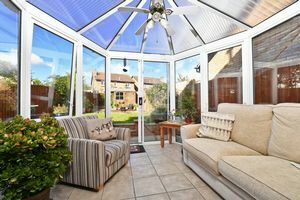 White skimmed ceiling, chrome light fitting with eight down lights, neutral walls, radiator, sliding doors leading to conservatory, radiator, neutral carpets. UPVC white conservatory, wall mounted electric radiator, grey tiled flooring. 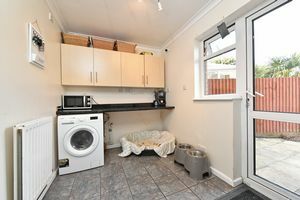 Skimmed ceiling, chrome light fitting with six bulbs, range of wall and base units, roll top black work surface, UPVC window overlooking rear aspect, space for fridge/freezer, under stairs storage, space for gas cooker, grey floor tiles, opening leading to utility area. 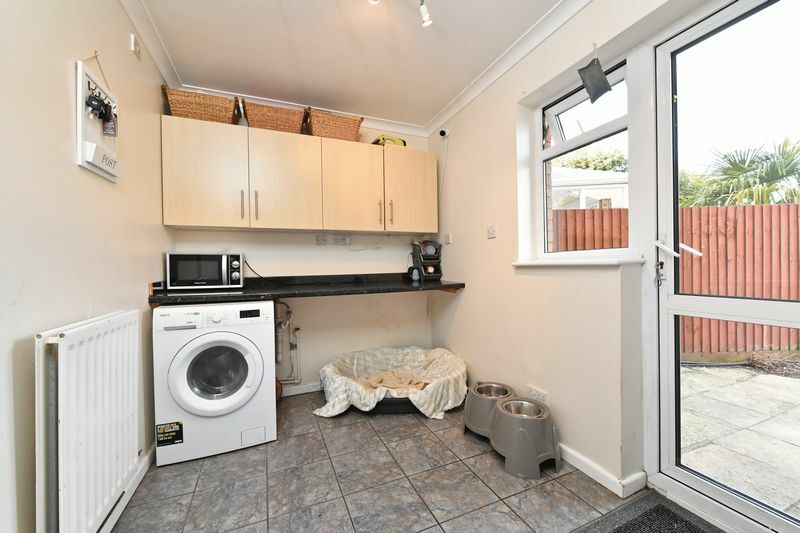 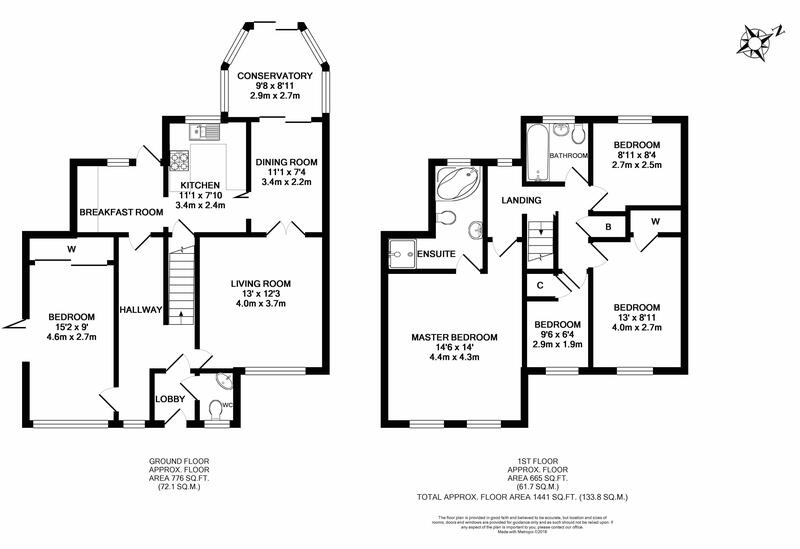 White skimmed ceiling, white four arm light fitting, neutral walls, space for washing machine, space for dishwasher, space for tumble dryer, radiator, UPVC door leading to garden, worksurface, wall storage cupboards, continuation of grey floor tiles, door leading to entrance hallway. Six panel white wooden door, skimmed ceiling, chrome three arm light fitting, neutral walls, two wall lights, built in mirrored wardrobes, UPVC window over looking front aspect, neutral fitted carpets. White skimmed ceiling, two loft hatches, neutral walls, airing cupboard, upvc window over looking rear aspect, neutral fitted carpets. Six panel wooden door, skimmed ceiling, light pendant, two upvc windows over looking front aspect, two radiators, neutral walls, built in double wardrobes, neutral carpets, door leading to en-suite. 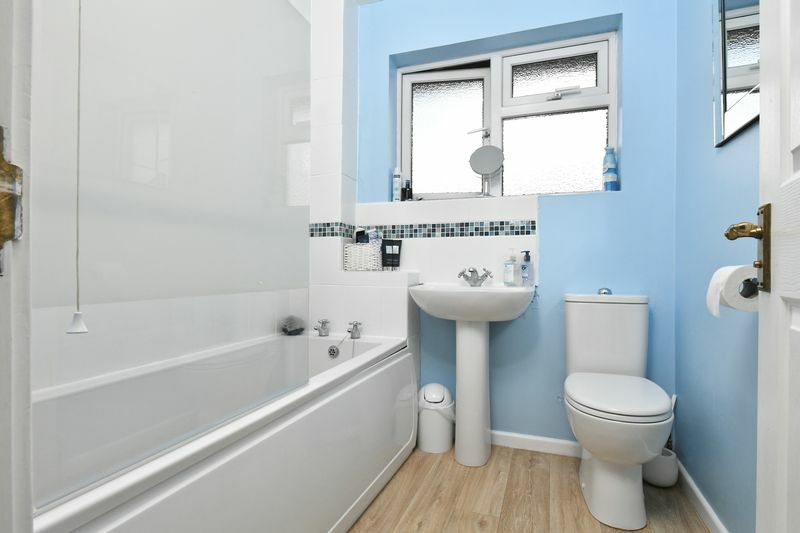 Six panel wooden door, skimmed ceiling, three spot light bulbs, white corner bath, sink with pedestal, wc, white tiles, walk in double power shower with glass screen door, vinyl wooden effect flooring. 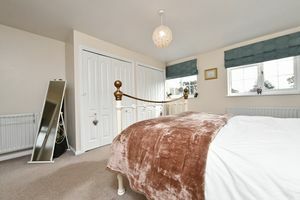 Six panel wooden door, white skimmed ceiling, chrome three arm bulkhead light fitting, white walls, built in wardrobe, upvc window over looking front aspect, neutral fitted carpets. Six panel white wooden door, skimmed ceiling, pendant light fitting, white walls, upvc window overlooking rear aspect, neutral fitted carpets. Six panel white wooden door, skimmed ceiling, pendant light fitting, neutral walls, UPVC window overlooking front aspect, radiator, built in wardrobes over stairs bulkhead, neutral fitted carpets. 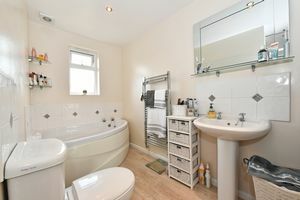 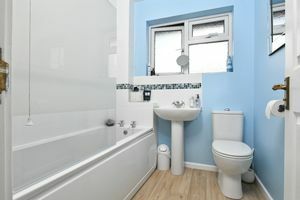 Six panel white wooden door, skimmed ceiling, three spot light bulbs, new white bathroom suite comprising of: bath, sink, wc, white tiles, electric shower over bath with glass and chrome screen, UPVC obscured window, blue walls, radiator, vinyl wooden effect flooring. 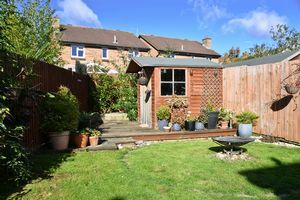 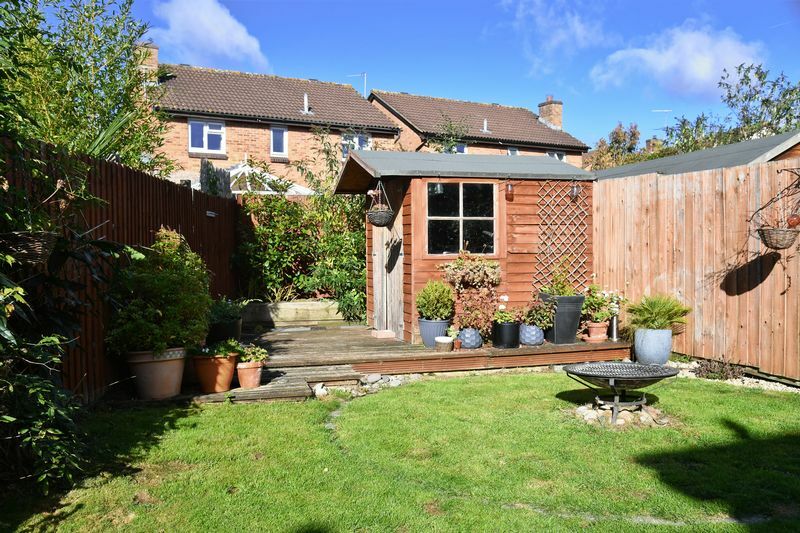 Enclosed rear garden with gated side access, patio area, lawn area, decked area with garden shed. 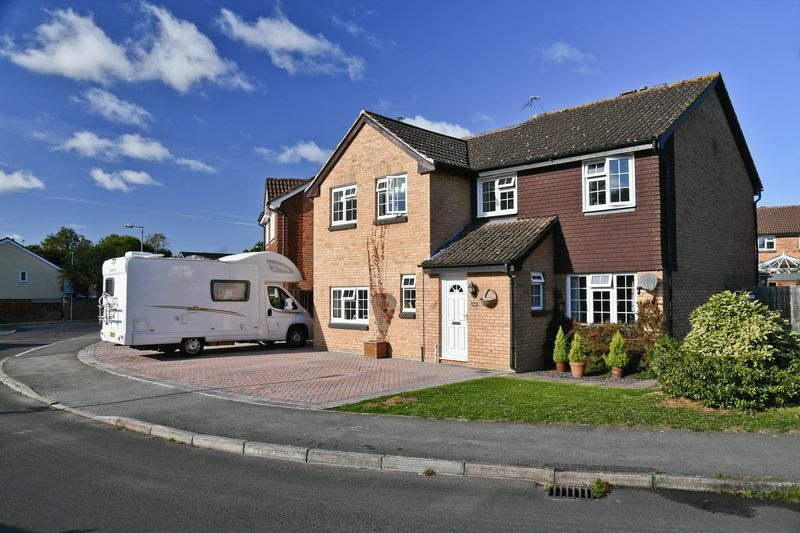 Blocked paved driveway offering ample off street parking.